The winner of the 2015 Marion Phelps Award was Elaine Fuller, who has been a heritage activist in the local community for many years. According to one of Fuller’s nominators, Cecil McPhee, “Elaine Fuller’s interest in heritage preservation developed over many years. She was born in Thomas’s Gore (near Lachute) and moved to Chatham when she married Donald Fuller. In 1962, she watched as the rising waters submerged and obliterated much of the early 19th century settlement along the Lower North Shore of the Ottawa River from Carillon to Grenville above the newly completed Carillon dam.” In 1989, Cecil McPhee said, “Elaine assumed a more active role in heritage preservation. She had joined the Historical Society of Argenteuil County (HSAC) in 1988 and enrolled in a three-year course in museum studies at Algonquin College in Ottawa in 1994. The course dealt with all aspects of museum operations – accessioning, describing, classifying, cleaning, conserving, mounting and displaying artefacts in all types of material in a wide range of fields… Elaine graduated in 2000 with a Diploma in Applied Museum Studies.” Over the years, Fuller has volunteered tirelessly at the Historical Society of Argenteuil County, the Argenteuil Museum in Carillon, and St. Mungo’s United Church. 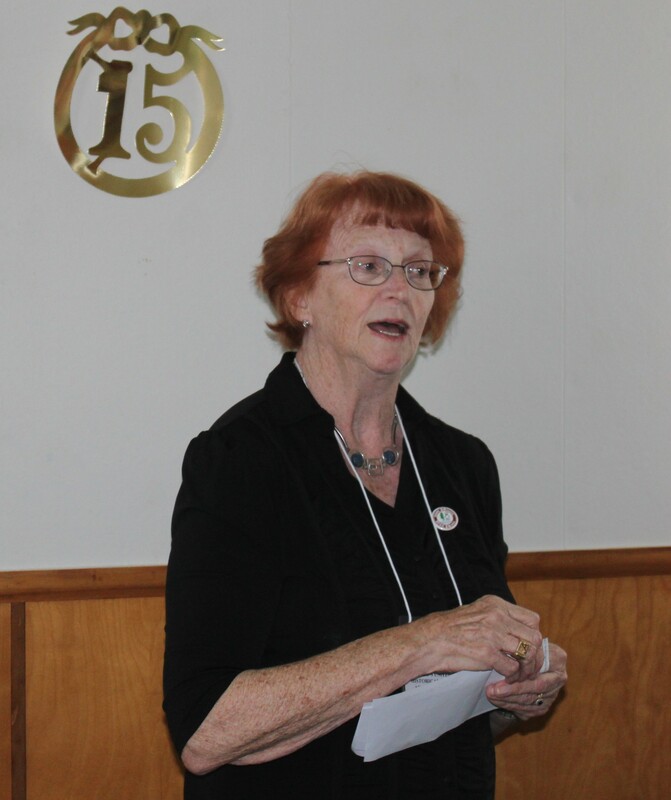 She has served as Secretary of the Argenteuil County Historical Society; and as Chair and later Secretary of the historical society’s Accessions Committee -- all the while working in close conjunction with the Argenteuil Museum. At the HSAC and Museum, she has helped to inventory the collections, accession archival materials and mount numerous historical exhibitions. She has also assisted with publicity, given presentations and conducted genealogical and historical research. Since 1991, Fuller has been a leading light at historic St. Mungo’s Church (built in 1836) in Cushing. She has been spearheading restoration work at St. Mungo’s since 1995. The latest phase of these restorations is currently under way.